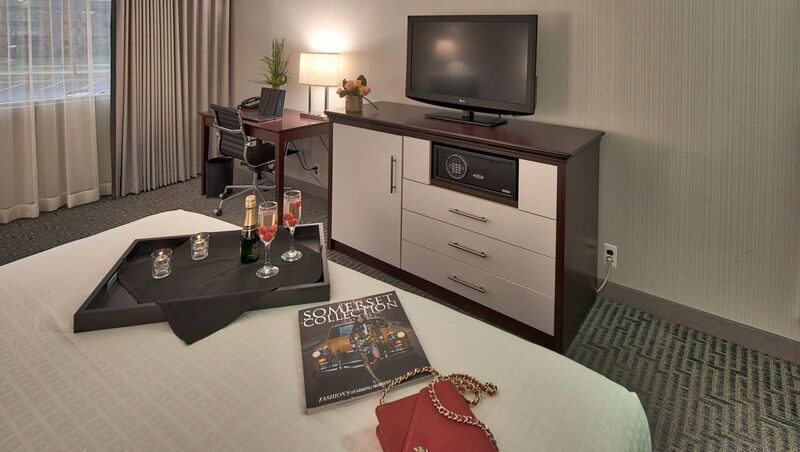 Whether you’re staying at our hotel in Troy, MI for work or play, the Somerset Inn offers the full array of guest comforts, from our Crumpets Restaurant and Bar & Grille to a fitness room, a business center and desirable function rooms. Check in is at 3:00 p.m. and checkout is at noon. Please contact the front desk if you have special requests. The Somerset Inn staff will do its best to accommodate your schedule. Forget something or need a snack or gift? Pick up drinks, snacks, t-shirts and an array of souvenirs in our onsite shop. 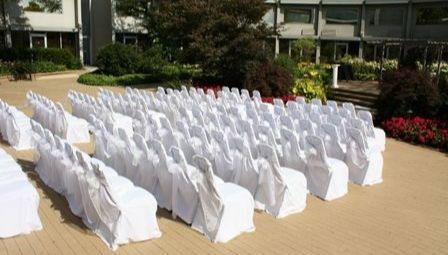 For group rates, meetings and reception information, please contact Somerset's Inn's expert sales staff at (248) 643-2281. You can also Email Us. Located just steps away is the Somerset Collection. 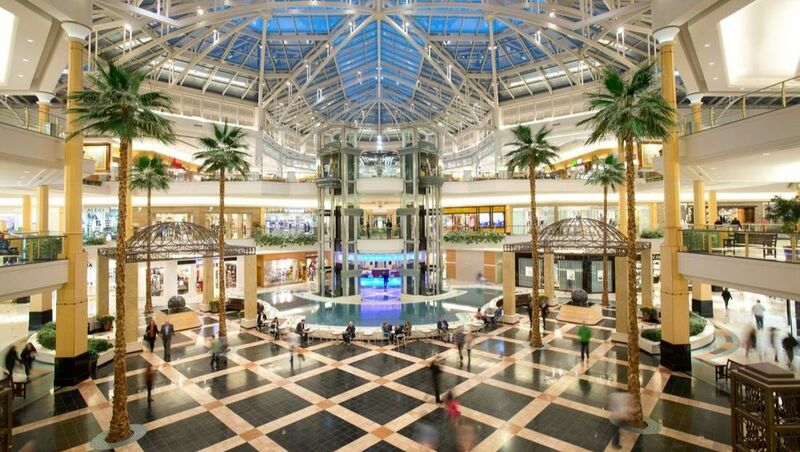 Even the most discriminating shoppers will find plenty to interest them at Neiman Marcus, Saks Fifth Avenue, Nordstrom, Macy's, & Tiffany & Co to name a few. Located on the second floor, Somerset Inn’s business center is available to all in-house guests. For your convenience, a satellite office with computer and desk is available in the Hotel Lobby. 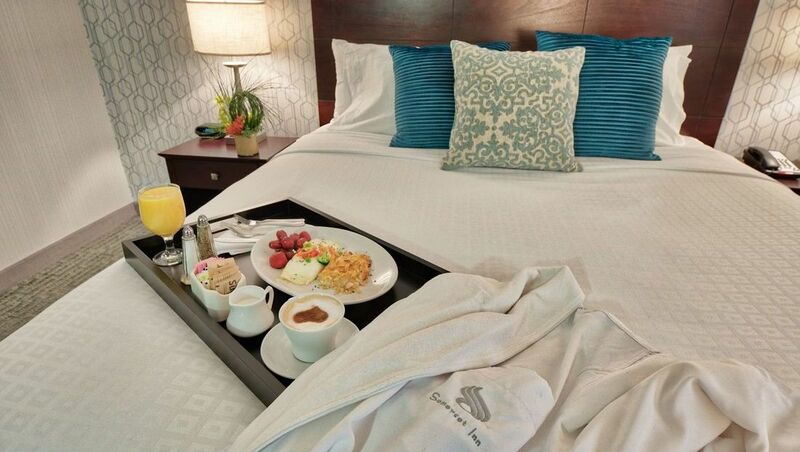 Crumpets Restaurant offers room service delivery for guests who wish to dine in the comfort of their room. Hours: Monday to Friday: 6:00 a.m. to 11:00 p.m., Saturday and Sunday: 7:00 a.m. to 11:00 p.m. The Somerset Inn is pleased to be home to Crumpets, one of the area's finest restaurants. 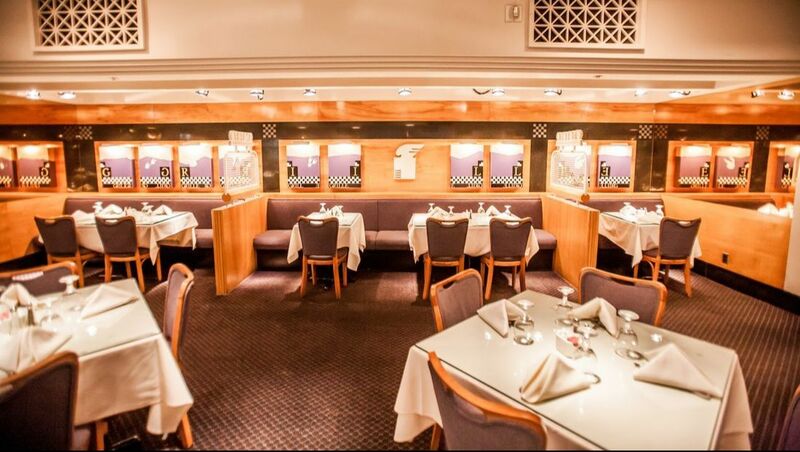 All day dining is available after 6:00 a.m. during the week and after 7:00 a.m. on weekends. The Workout Room is open from 5:00 a.m. until midnight for a thorough cardiovascular workout. A crib, a rollaway, extra towels or extra pillows are available at the touch of a button. Short on cash? Visit our convenient lobby ATM. Somerset Inn's outdoor private garden patio is a place of pure beauty in the heart of the Inn. 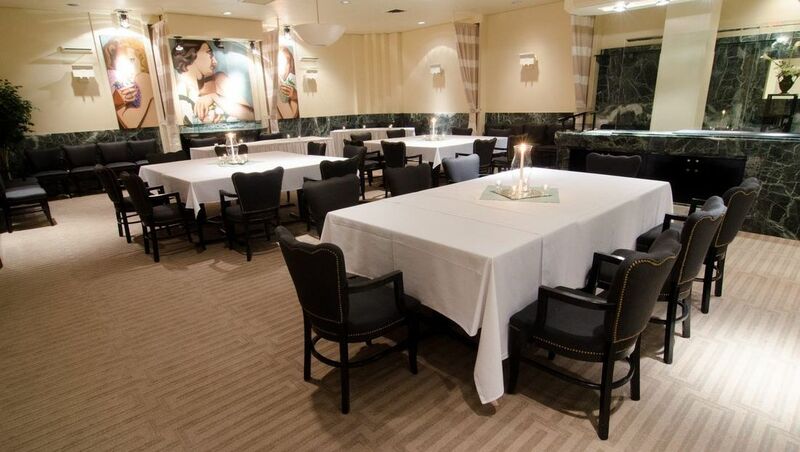 Our sophisticated West End Banquet Room offers flexible floor plans to accommodate meetings, seminars, cocktail parties and dinner banquets. 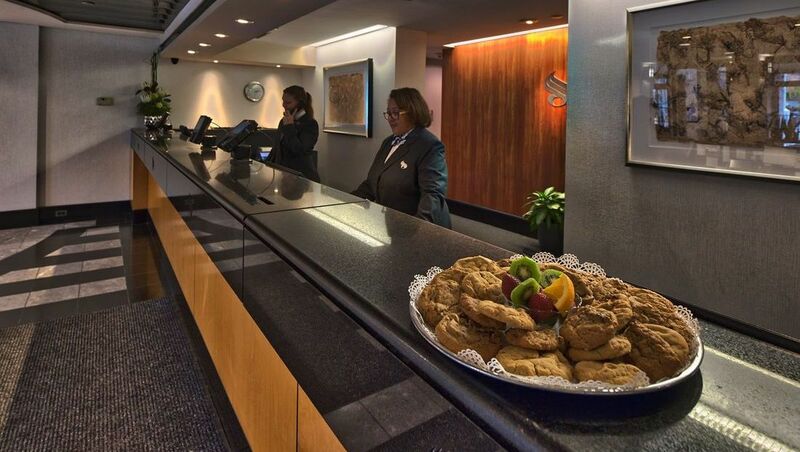 Homemade cookies are available at the front desk Monday through Friday evenings to send you to bed with a sweet ending to your day. 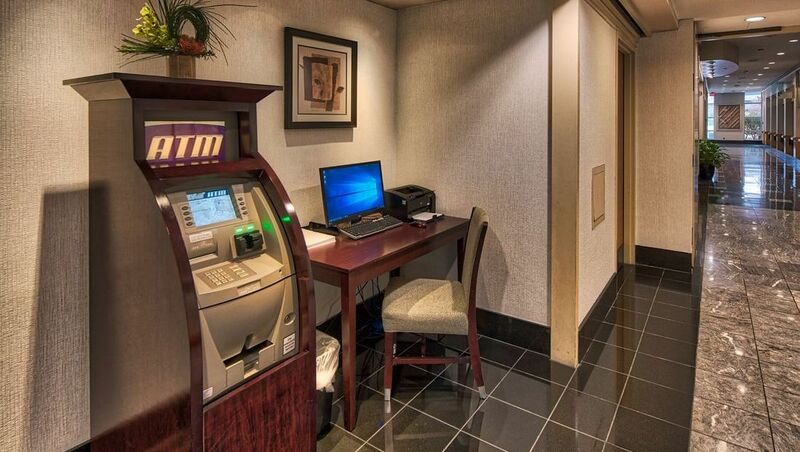 The hotel encourages guests to use complimentary safe deposit boxes located at the front desk. Free high-speed Internet access is available in all guestrooms and meeting rooms. We offer free complimentary local phone calls to all our guests. All lost and found items are held securely by the executive housekeeper. All guestrooms have voicemail available. Messages can be retrieved in your room or at the front desk.